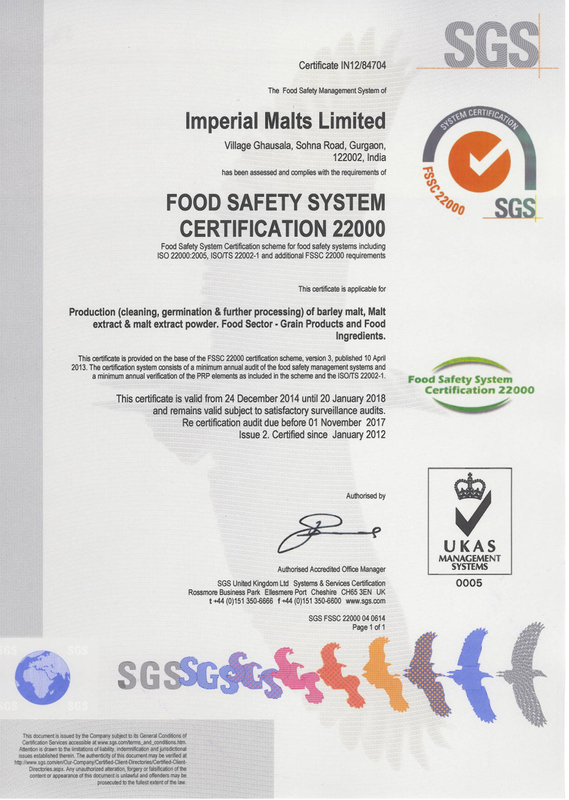 Incepted in the year 1981, Imperial Malts Ltd is engaged in manufacturing optimum quality Malt Products and Barley Products such as barley malt and malt extracts which includes liquid malt extract, powdered malt extract and baked barley malt. Prepared form finest quality raw material, our range of malted barley products, whole grain barley products, barley food products, barley green products, organic Malt Products and pure Malt Products is widely acclaimed for purity, un-adulteration, hygienic finish and safe consumption. 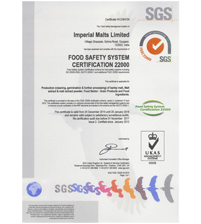 Being an ISO 9001 : 2008 certified / ISO 22000 : 2005 & Halal certified company, we consistently work towards offering qualitative range of barley malt and malt extract in compliance with industrial standards.